Langkawi. 2018 continues with the lovely surprises! The travelers can choose how to srend their time on this little wonderful malaysian island – by land or by boat. Both options launch rainforest hikes, relaxing afternoons on palm-fringed beaches and fresh seafood – the favourite of Asian people. Los Cabos, Mexico. 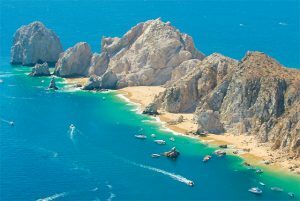 This year, Montage, Ritz-Carlton Reserve, Four Seasons, and Garza Blanca will open new oceanfront resorts in Las Cabos. What this means? All-inclusive options, championship golf courses, treehouse suites and private beaches and residences. And do not forget the rural retreat known for its farm-to-table cuisine! Los Cabos is made up of the towns of San Jose del Cabo and Cabo San Lucas, each with their own appeal — art galleries in bright Spanish Colonial buildings in San Jose, lively restaurants and spirited night clubs in Cabo — so make time to explore both. Papagayo Peninsula, Costa Rica. Volcano hikes, canyons and catamaran cruises. The beauty of this peninsula is guaranteed by the government which is in charge of its protection. 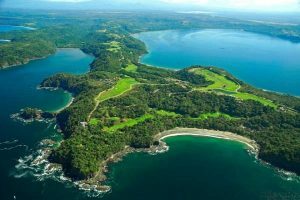 The renovated Four Seasons Resort Costa Rica at Peninsula Papagayo reopened after a $35 million for eco-friendly adventure. Perth, Australia. 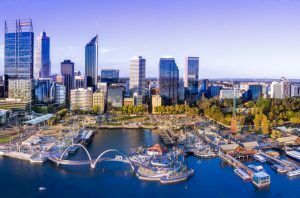 Sounds surprising but visiting Western Australia’s uber-cool coastal city is well worth the journey. The town offers a lot of entertainments for the tourists – cozy restaurants, cocktail bars with good music and modern malls and art galleries. Phuket, Thailand. Phuket is a popular destination because of the tourist atractions, the beautiful nature and the frienly locals. 2017 was a key year for the tourism in Thailand with the opening of the boutique Anayara Luxury Retreat Panwa Resort overlooking Chalong Bay, and the new hotel of the famous luxury hotel chain Rosewood. ClaimHelp is a company established and operating with air passengers’ interests as its top priority, educating them about their rights and helping them overcome the hassle experienced due to flight cancellation, delayed flights and denied boarding. The EU Regulation entitles passenger to receive compensation between EUR 250 and EUR 600 in case of delayed, canceled or overbooked flight. However, airlines fail to point this fact – a mere 4% of the passengers are aware of their rights. We at ClaimHelp changed that – each month we help thousands of passengers to receive their due compensations. We continuously strive to improve and grow our business. Currently, ClaimHelp provides assistance to passengers from 39 European countries to receive their compensations. We have won over 9,300 litigations in various courts against a number of airlines. ClaimHelp est une entreprise créée pour travailler pleinement dans l’intérêt des voyageurs aériens en les aidant à connaître leurs droits et à faire face aux désagréments subis lors de l’annulation, du retard des vols ou du refus d’accès à l’avion.